Andrew W.K., singer/songwriter, will be signing copies of “You’re Not Alone” in CA this week. After gaining initial attention with the 2000 EP Girls Own Juice, Wilkes-Krier rose to prominence with the release of his debut studio album I Get Wet in November 2001, as well as its single “Party Hard”. In the years following its release, Wilkes-Krier has also undertaken a number of other musical and non-musical ventures such as television and radio work, including a stint as host of the TV series Destroy Build Destroy, motivational speaking, and writing. 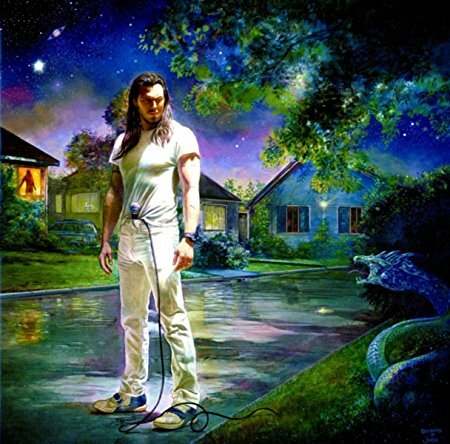 You’re Not Alone is the fifth studio album by American musician Andrew W.K., released on March 2, 2018 through Sony Music. The art for the album was painted by renowned fantasy artists Julie Bell and Boris Vallejo.